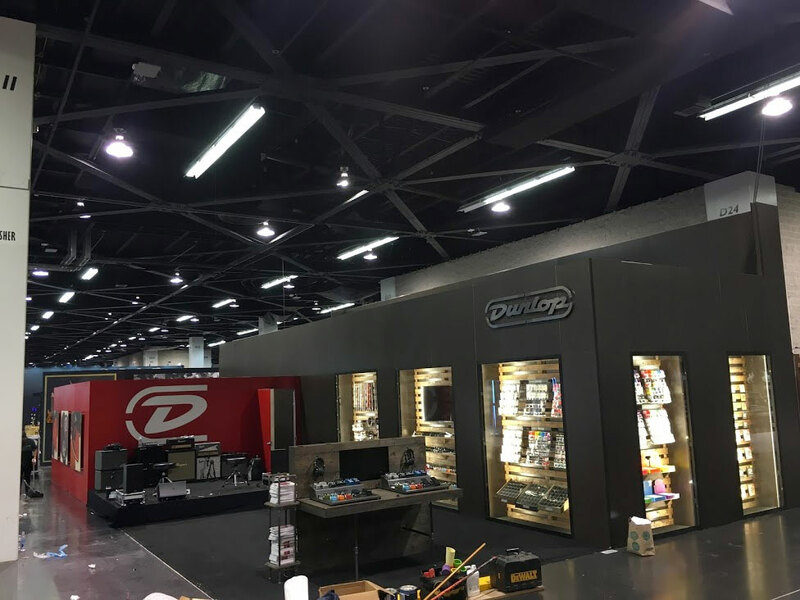 Dunlop, one of the leading manufacturers of musical accessories for over 50 years is excited to once again be a part of the NAMM show, the “world’s largest trade-only event for the music products, pro audio and event tech industry". 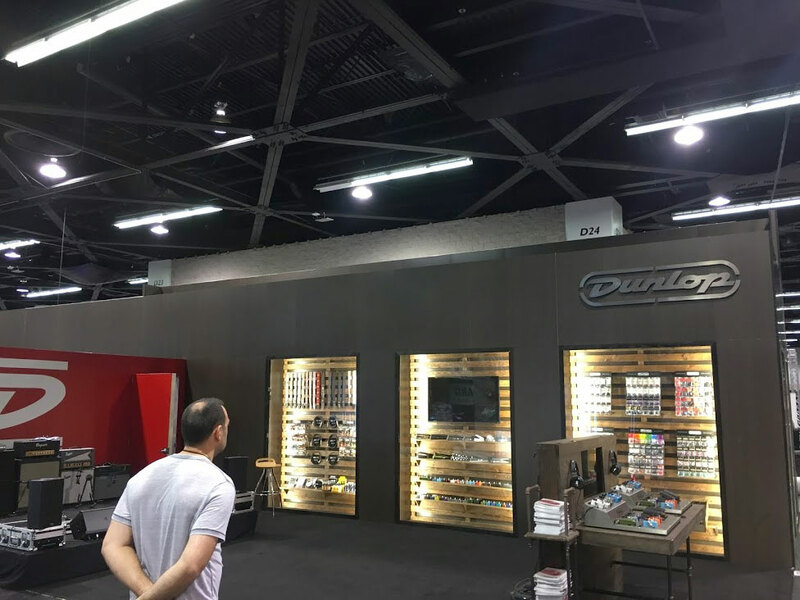 For the 2018 Winter NAMM show, Dunlop was excited to display a ton of new products that customers have been anticipating including new effect pedals, new picks, new straps, and more! 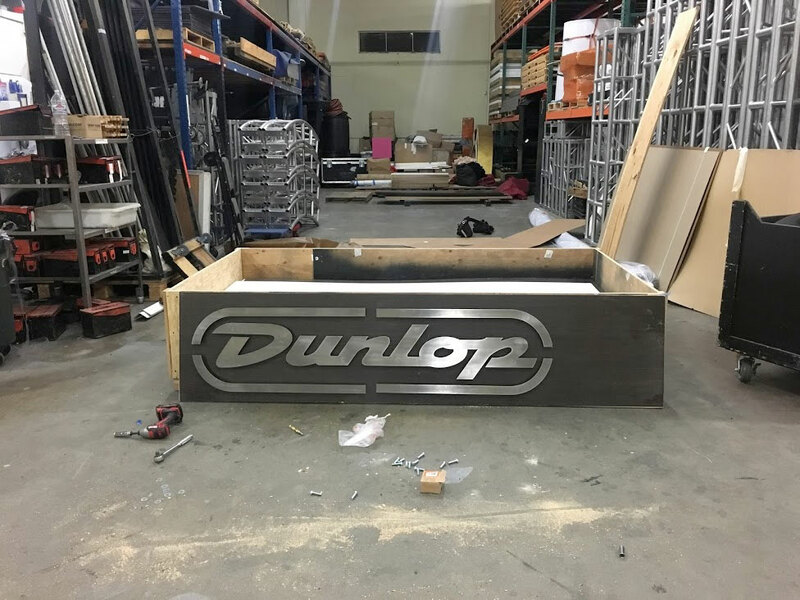 FullerStreet participated in creating and designing the Dunlop booth and displays for their new gear, showcased instruments and performers. Over the span of the tradeshow, numerous artists came to demonstrate the Dunlop gear, including Polyphia, Plini & Simon Grove, Prashant Aswani, Andy James, and Leslie Johnson, to name a few. 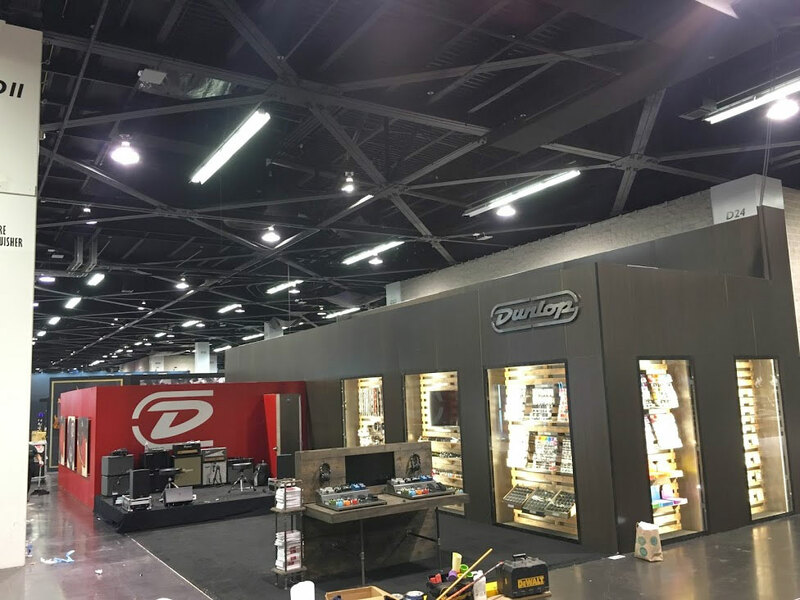 We have been lucky enough to work on Dunlop's NAMM booth for 12 years in a row. Various new and returning customers visited the lively booth making it the place to be on the convention floor. For previous years we built a two-story mezzanine display with a VIP lounge on the top level and office space on the ground level. However, the design has been an evolution, and as Dunlop’s needs have shifted, and we were up to the challenge to create a new look. Therefore we removed the double-decker unit to provide more office space, display space, and a more intimate venue for the performance space. 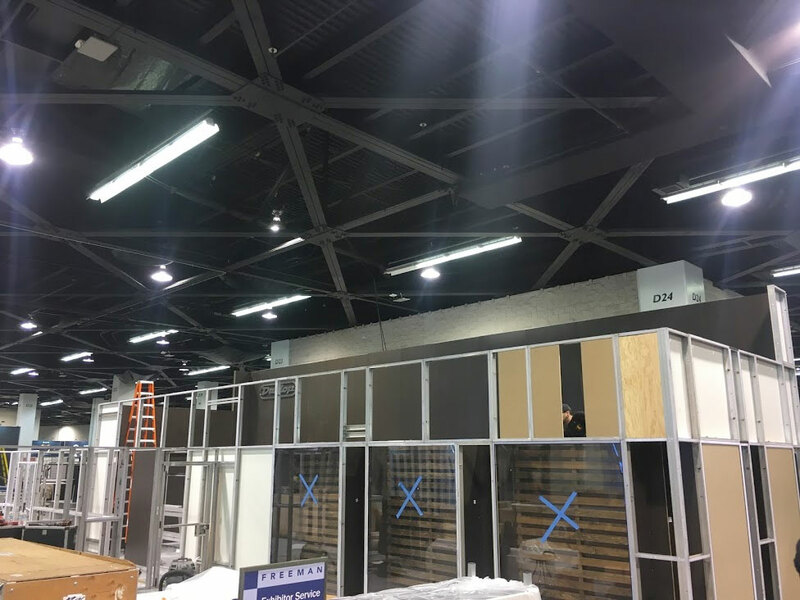 Fuller Street also provided three custom 8'H x 6'W clear displays with stained wood slate background walls lined with LED strip lighting to emphasize the products on display. Then, a returning favorite by our client, we provided custom printed graphics on panels of sintra that covered the sides of the structure providing an rhapsodic atmosphere. 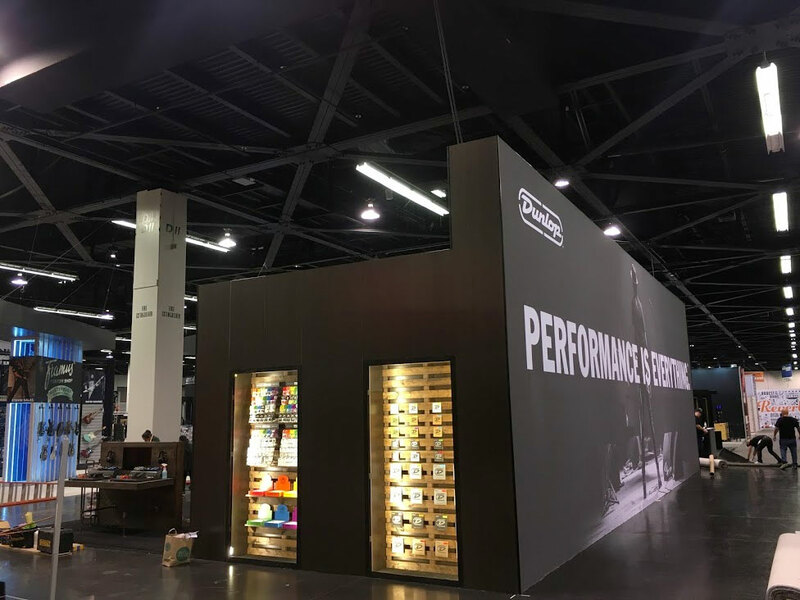 Another year, another NAMM Show, another great experience working with the Jim Dunlop brand. We are excited for this partnership and excited to see what comes next year. 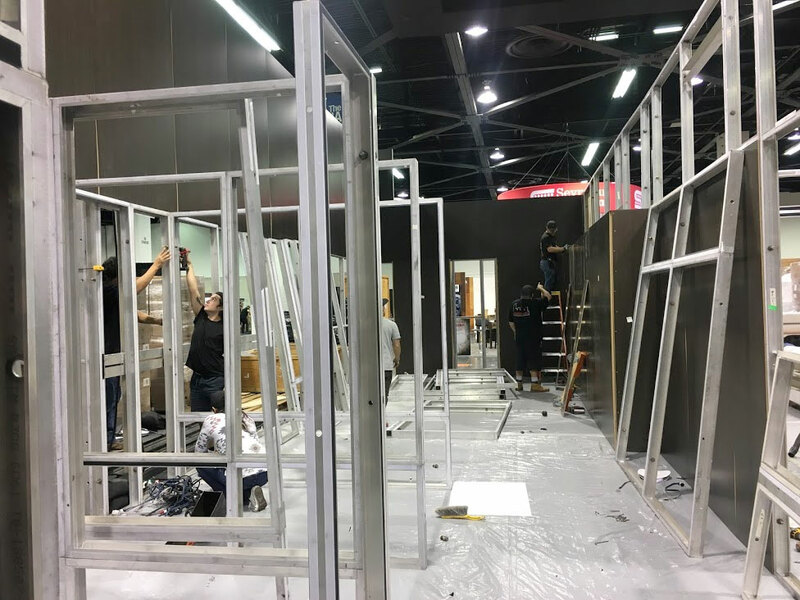 Designed and constructed a custom trade show display booth with office space, display space, and performance space. Custom printed graphics panels to cover display booth walls. Assembled custom clear display cases to showcase products and equipment.